GENETICS FOR PARENTS. GENETICS FOR EVERYBODY. 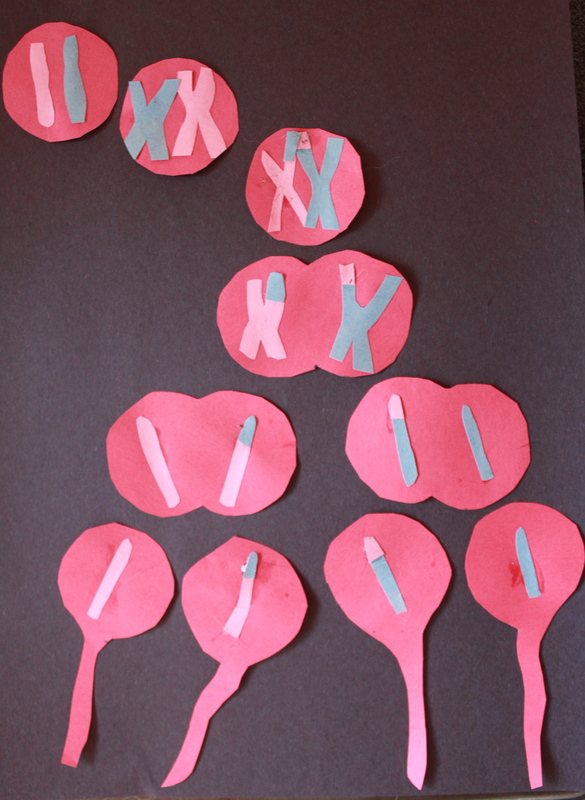 MEIOSIS: A cell with 46 chromosomes becomes four sperm, each with 23 chromosomes. Shown here, the "Chromosome 1" pair (top left) gets duplicated, shuffled, and divided into sperm cells (bottom). In other posts, we’ve discussed meiosis and mitosis, the two little cellular dances that need to be considered on the way to a basic understanding of genetics. Meiosis affords genes the opportunity to recombine. Mitosis affords genes the opportunity to replicate, and replication gives genes the opportunity to mutate. Both processes are involved in the production of eggs and sperm, but eggs recombine more than sperm, and sperm replicate more than eggs. Hence the title of this post, in which we will describe how sperm and eggs are made inside of the testicles and ovaries of two randomly chosen celebrities.